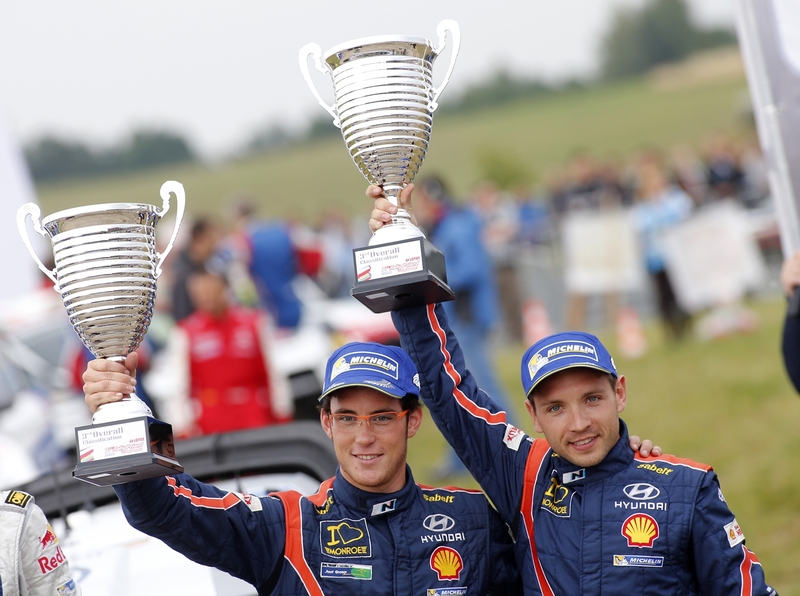 The Hyundai Shell World Rally Team has claimed its second podium result of the 2014 FIA World Rally Championship (WRC) season as Thierry Neuville (#7 Hyundai i20 WRC, co-driver Nicolas Gilsoul) claimed third place after an action-packed Rally Poland. In just its seventh WRC event, the rookie team has enjoyed a positive week and has had its hard work rewarded with a debut three car finish as Juho Hänninen (#8 Hyundai i20 WRC, co-driver Tomi Tuominen) and Hayden Paddon (#20 Hyundai i20 WRC, co-driver John Kennard) also completed the rally inside the top eight overall. The team has shown competitive pace in this event and has seen all three Hyundai i20 WRC cars and crews demonstrate podium potential as all three drivers registered quick stage times during the weekend. Neuville scored a stage win in the 14.41km Stare Juchy 2 stage on last Saturday, Hänninen topped the times in SS2 (Kruklanki 17.24km) while Paddon, in just his second WRC event as a Hyundai Shell World Rally Team driver, finished 0.7s off a stage win in Friday’s SS4 (Wieliczki 12.89km). 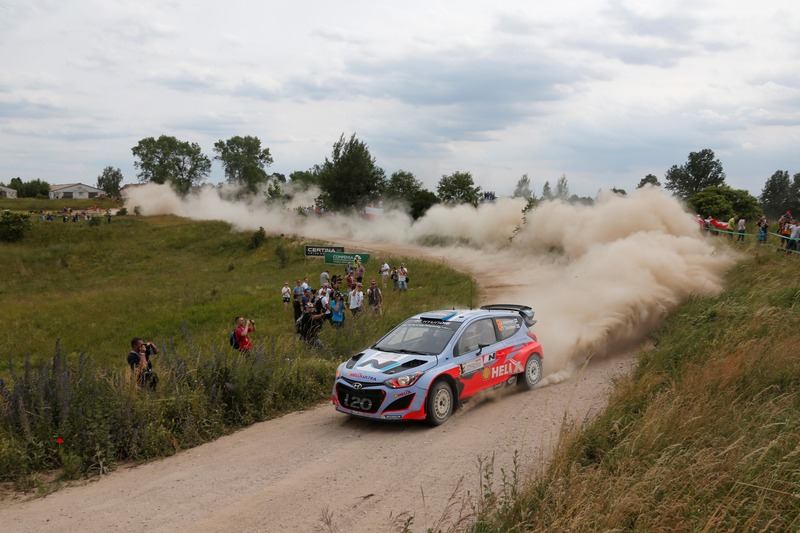 Neuville had a strong Rally Poland, fighting hard showing competitiveness and determination to make his way from tenth up into the podium positions. Hänninen has also shown some impressive pace in Poland to claim a stage win on the opening day and regularly be among the pace setters, and with the top six finish gives the Finn his best result of the season and much cause for satisfaction. Paddon registered a second consecutive rally finish in just his second event with the team, and has also claimed his first top eight results in the #20 Hyundai i20 WRC. The Kiwi crew set the second fastest time in SS4 and achieved their objective of gaining confidence in the often tricky conditions.